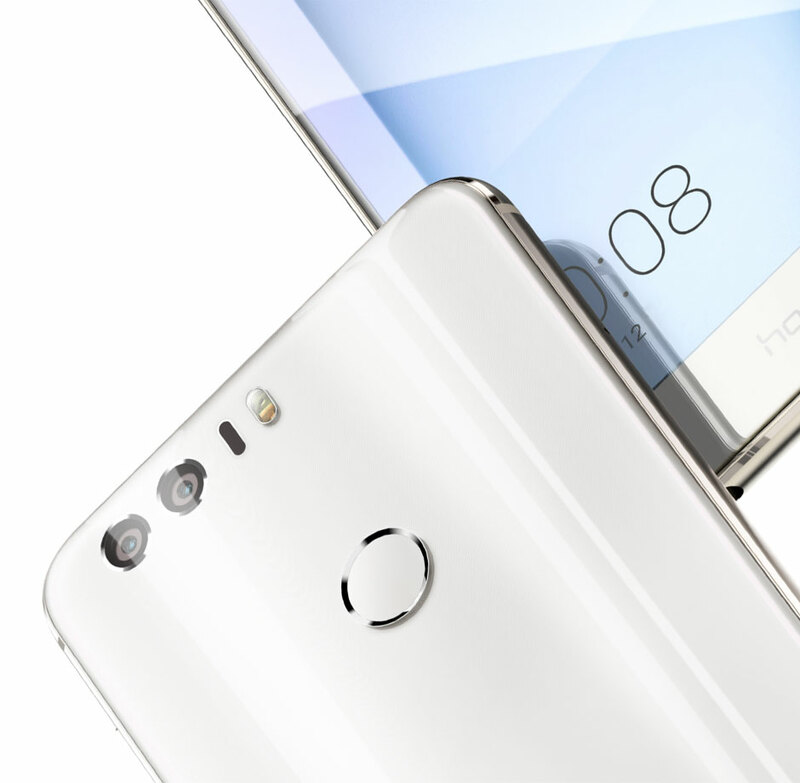 Honor 8 was a mid-range smartphone from the company that launched back in July 2016. The smartphone launched with Android Marshmallow running out of the box and the phone got Android Nougat update in 2017. It was expected that the company will surely update the phone to Oreo but looks like that is not going to happen. 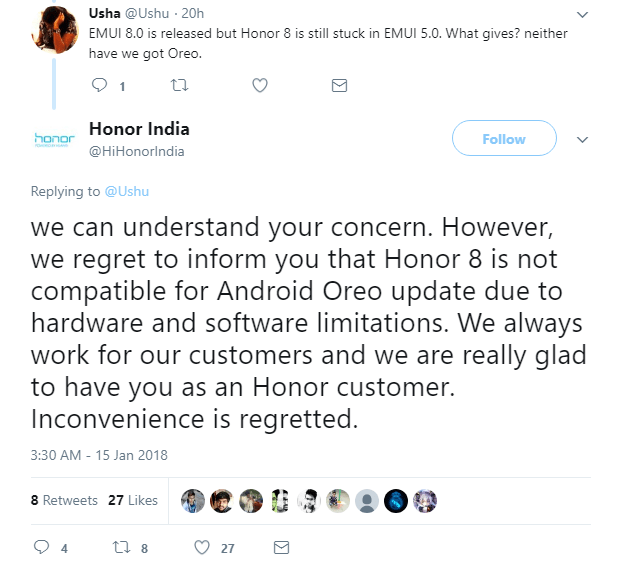 In reply to a tweet, Honor has said that the phone is not getting the official Oreo update due to the software and hardware limitations. We can understand your concern. However, we regret to inform you that Honor 8 is not compatible with Android Oreo update due to hardware and software limitations. We always work for our customers and we are really glad to have you as an Honor customer. Inconvenience is regretted. Hardware and software limitation doesn’t seem a legit explanation. The phone features Kirin 950 which was a great mid-range chipset of 2016, has 4GB RAM and more. So, if you are using the device, it seems custom ROMs are the only way to get Android Oreo on the phone. What are your thoughts on this? Do let us know via the comments section.